Hanna checkers are my #1 tester, so I go threw a lot of regent, more alk then calicum. Great product, not the easiest to use in my opinion, but always accurate. Highly recommend. We buy this specific reagent and refills through Marine Depot because the product is always cheaper. There is a detailed description of everything needed that I don't have to call in any questions; even after the product was updated. 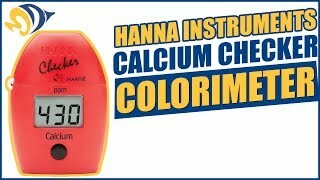 If you want to get accurate info about your tank use Hanna instruments and reagents. They work great and I don't test without them. A handy size for comfortable handling.